Sadly, this is the end. Recently, I’ve been taking stock. Refocusing my lens. Since the move to the library I’ve asked myself why I am doing this. If it still meets my criteria. I’ve discovered that it no longer does. It really has no chance of meeting it, so it has to end-at least for me. Penny may continue on-she hasn’t decided. She is going through the docent training at the LB Museum and will make an excellent docent there. I hate admitting failure (of sorts) but then again I can’t change the world or save it for that matter. 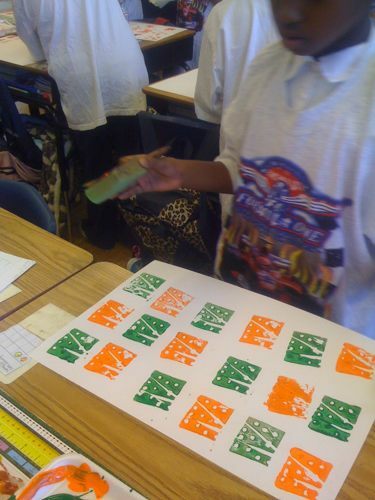 If kids are going to get an arts education it really needs to happen in the public schools-IMHO. For lots of reasons aforementioned in this blog -which I won’t bore you with the details now. It’s not going to happen in Long Beach. Not for a very long time if ever again in my lifetime anyway. That’s OK. I accept it. I move on. You want to talk about assets? How about the kids in LB? ALL the kids. The bottom line for me is that kids are going to need creative skills to get by in the future and they are simply not getting it. And by kids I don’t mean just the kids whose parents find it important or can afford to buy them access. ALL kids. That’s why it has to be done in the public schools. I don’t think any of us will be served by living in a world where people have lost their ability to create solutions because from what I can see, we’re gonna need LOTS of solutions in our future! I’m not interested in teaching art for the accolades, or to babysit someone’s kids on a Saturday morning. I am interested in building skills over time- teaching problem solving through art. Because that’s what art is (at least to me) – a method of creating by solving problems step by step. How can we engage the average person on the street and connect them to the “arts community” when they have no experience of it in the first place-nothing on which to base an understanding of it? It needs to start there. On the streets and in the schools. Enough of flashy websites, granted artists, neato slogans and taglines. Teach problem solving through the arts and connect it to everyday life. Teach artists how to make a living. Let artists teach art. I don’t fault the artist herself. The city just had it’s priorities screwed up in my opinion. Just because you slam a sculpture into a median strip doesn’t mean you care about art. Just what IS the message here? I will focus on my own work. Honing my skills and connecting with others who are like-minded. Keeping sane…more or less. Thanks to all of you who have so kindly posted here, made donations, and inspired us over the past several years. We thank you. Our first workshop will be on Saturday January 24 at 10 AM at the Long Beach Dana Branch Library. Please visit their website for full details. -or just about anywhere really. When it comes to making things, there’s apparently more to it than meets they eye. Paul Sedan recently wrote an article published in the Christian Science Monitor making a case for the value of working with your hands. I hungrily read the article hoping he had included some references to scientific studies I’ve been reading about that make a further case for “making” and it’s effects on brain chemistry and the role it has in lifting depression, among other benefits. The book I’m speaking of is “Lifting Depression“, by Kelly Lambert, PhD. Subtitled, A Neuroscientist’s Hands-On approach to Activating Your Brain’s Healing Powers, she points out her idea that activities culminating in efforts based rewards can often be a great alternative to much of the psychopharmacology offered up to treat depression as well as other mood disorders. In my life, there hasn’t been much room for depression and now maybe I understand a little better why that has been true. Further researching this subject, I simultaneously began reading Dan Pink’s book “A Whole New Mind”. This book has so many ideas it’s hard to offer up just one. Suffice it to say that it offers up lots of positive ideas for creative thinking that can be sorted through and applied to good use in our everyday and business worlds. Which led me to a marvelous study into Ellen Dissanayake’s book “What is Art For?“. In it she lays out a case delivering a biological justification for the existence of art and beauty in humankind. This book is a powerhouse. I think it must be a college text for art theory classes because reading it I feel as I am really being schooled. I have to read it in smaller sections (as compared to the other two books) and let it sit and digest a bit. Still working on this one. Of course all of this is fueling my fire as far as why I am so concerned about the lack of creativity (I’m not even going to call it “art” anymore!) in our public school education -especially here in the LBUSD. Of course, this mostly falls on deaf ears, gets lip service and leaves me preaching to the choir while tilting towards windmills… so to speak. In the coming months while parents and children suffer the stresses of our credit weary, eco-abusive, politically compromised society, we will need to find ways to combat these stresses on our own and work our way through the morass we have created moving toward the light of a better tomorrow. In the meantime, Penny and I visited Trash for Teaching the other day and hauled away some fabulous stuff for our soon to be announced free public workshop at the local Dana Branch Library. We purchased a membership ($50 each-$100) and as members we can weigh out as many pounds of their materials as we can use in a year! Hooray! Lauri from Trash for Teaching tells me if you have a school that you would like to purchase a membership for, it is completely tax deductible and makes a great holiday gift. Even if you aren’t connected to a school, any donation you give them will be put to great use, both for education and for the environment. I have been there- it is a bare bones operation with a small passionate staff. Elementary Art is coming to the Dana Branch Library! Looking for more arts education opportunities for your kids? Hosted by the Dana Branch Library and run by Elementary Art education advocates Penny Voelker and Glennis Dolce, free monthly Saturday art workshops (10Am-12 Noon) will be offered for families with children 9 years old and up. Each month’s’s program includes an introductory discussion of art, a demonstration of techniques to be used in the workshop, and open studio work time. Held on the fourth Saturday of each month through June, the program begins at 10 AM sharp. Late-comers will be welcomed to join in during the last half hour of the session. Space is limited to 25. Elementary Art – Join us Saturday January 24, 2009 at 10 Am – 12 Noon! Come and explore collage with texture as we utilize materials diverted from local manufacturers and made available for educational purposes! This lesson focuses on creating an artwork based on a still life and learning techniques for adding texture to your collage work. Inexpensive (free) and fun for all ages 9 and up. All this has taken up far more time than I had allotted and I must get back to Shibori Girl and make a dime or two today. Many thanks to those of you who follow both blogs and especially those of you who are purchasing my work as holiday gifts and what not. It IS what pays the bills around here! Your patronage is warmly appreciated. 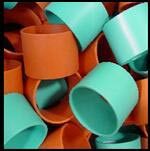 The librarian at the local branch library suggested we check out this link as a source for cast off materials from manufacturers that can be used for art projects. You won’t want to miss this if you are in the LA area. Maybe your area has something similar. I have been busy in the studio and at shows recently and just letting myself settle with the idea of not being in a classroom this year. Still wanting to bring art to elementary age kids,but how? Still wanting to be true to my beliefs about why I like to do it in a public school classroom. I like the public school setting in that it allows for a more equitable distribution of the subject matter (as opposed to kids who get art classes outside of school for a price). Not everyone can afford to attend those kind of classes. I also like to see art offered alongside the core classes of math, reading, and social studies as opposed to seeing it always offered as an “extra”. It means something different. But alas, one cannot always have what one wants. So rather than force the issue, I decided to let it rest and see what came to me. Here’s what has been offered- regular workshop space at the local library’s community room on Saturday mornings at the Dana Branch Library, Long Beach. We provide the lessons, gather materials, & donate our time. The library provides the space, a teeny weeny budget (for filling their display cases with art), and hopefully some storage space for materials. -two Saturday morning workshops a month (starting this December and probably only one this first month) Each month we will explore one theme or genre. -the class starts at 10 AM sharp. no late comers. 30 minute oral/visual presentation followed by an hour of hands on art making. -at 11:30 (until 12:30) we will open the doors to drop ins who can take advantage of the set-up and materials to explore the topic on hand. alongside the newcomers thereby further enhancing their experience and that of the drop ins. -this will be free but donations for materials will be greatly appreciated. -we will plan the year in advance as we did for the classroom and due to my travel/teaching/show schedule we may invite some other working guest artists to come and visit/teach with us. Well, that’s the idea so far. Any thoughts and suggestions are welcome. We are filling out the paperwork required by the city and will hand it over to the librarian this week. She will approve it for co-sponsorship so as to bypass any fees etc.. Hope to get started after the Thanksgiving break. To read the whole sad affair, you have to visit my other blog. We will resume irregularly scheduled art in the 4th grade classroom soon. Promise.